Make Your Own Essential Oil Mosquito Repellent! Are the Mosquitoes eating you alive?! Are the No-See-Ums making your life miserable? Then make your own essential oil mosquito repellent. 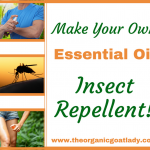 This essential oil insect repellent is easy to make and very effective! However, I can not in good conscience douse my family in chemicals to prevent this! So, how do you protect the ones that you love without dousing them in chemicals that are more dangerous than the bugs they are supposed to repel? I have the ultimate solution! An insect repellent that not only works great, but is actually nourishing to your skin at the same time! A repellent that nourishes the mind, emotions and the body! A repellant that’s ingredients have been historically shown to boost the immune system! Sounds like a mom’s dream come true doesn’t it?! It is! 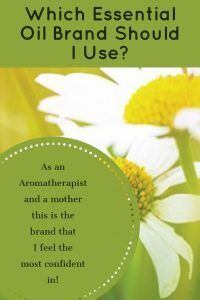 Let me share with you the recipe that I not only use for my own family, but the recipe that I use as an Aromatherapist for my clients as well. Also if you would like to learn more about repelling mosquitoes then be sure to read: 13 Plants That Repel Mosquitoes, and 10 of the Best Essential Oils For Mosquitoes! If you are already suffering from mosquito bites then be sure to read: 5 Essential Oils For Mosquito Bites. I don’t know about you, but I don’t feed my kids organic foods so that I can douse them in pesticides! If I’m not willing to eat something, it’s not going on my skin! Anything that you apply to your skin will be absorbed into the blood stream. So when you spray yourself, or your children, with store bought insect repellent that contains harmful ingredients such as DEET, you might as well be eating it! Scary right?! Scientists believe that DEET, along with other insecticides, can affect the nervous system! And have you seen the long list of side effects that are associated with taking bug spray internally?! We’re talking seizures, vomiting, difficulty breathing and much more! Now, while not eating your bug spray should be a no brainer, I’m a mother! I know that little kids put their hands in their mouths! As moms we have enough to stress and worry about! And I know that, while we don’t want to put poison on our kid’s bodies, we also don’t want to see them eaten alive or carried off by mosquitoes! Is anyone else picturing the flying monkeys carrying Dorothy to the witches castle?! No, just me? Anyways, I have a solution to both problems! The oils in this essential oil mosquito repellent have historically been shown to repel bugs. I also use it on my own family with great success! We live in south Florida. And as some of you know, we also raise dairy goats, chickens and guineas. So, we are outside a lot! About a month ago the mosquitoes arrived! They were everywhere! When we went out to feed and milk the goats, especially in the evening, we were swarmed! My daughter, who bottle feeds our baby goats, was beside herself. Freaking out was an understatement! So, I quickly mixed up a bottle of this essential oil mosquito repellent. I sprayed my daughter down liberally with the essential oil mosquito repellent before she went out to feed the babies in the evening. She didn’t get bitten by one mosquito while she was outside! NOT ONE! How awesome is that?! I even sprayed it on my kids before bed because some mosquitoes had gotten into the house (thanks to the kids continually opening the back door!). It is a safe spray that is also full of ingredients that I would use for many other reasons. So I know that when I apply it to my kid’s skin that not only is it keeping the bugs away from them, but it is nourishing their bodies as well! This recipe is awesome! And, while I would love to be able to say that I created it, I can’t. Jennifer Hochell Pressimone, my aromatherapy instructor, is the creator of this extremely effective insect repellent. The recipe is so effective, that I continue to use her recipe instead of creating my own. And she has graciously given me permission to share her recipe with you! Thank you Jennifer! 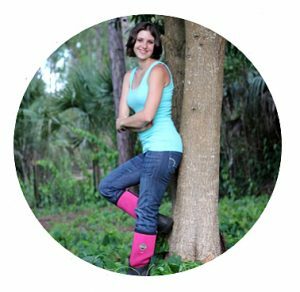 Jennifer is an Aromatherapist, herbalist, author & international educator. She is also the owner of JennScents inc. and JennScents University. This is where I studied and obtained my certification as an Aromatherapist. Jennifer has a lot of knowledge and some amazing recipes! Her new recipe book- JennScents Holistic Aromatherapy Comprehensive Guide, contains not only the insect repellent that I am sharing with you today, but a wealth of information! It includes information about history, folklore, doctrine of signatures, safety, quality, application methods, over 100 essential oil profiles, over 35 carrier profiles, chemistry, blending techniques, over 65 recipes and more! This is definitely a resource that every essential oil enthusiast should own! I have included links for each of the ingredients in the recipe notes below the recipe for your convenience. These are all of the ingredients that I use to make my insect repellent. And please, after trying the spray come back and comment below with your experience and results! For topical use only; avoid contact with eyes, use with caution during pregnancy and with serious health conditions. 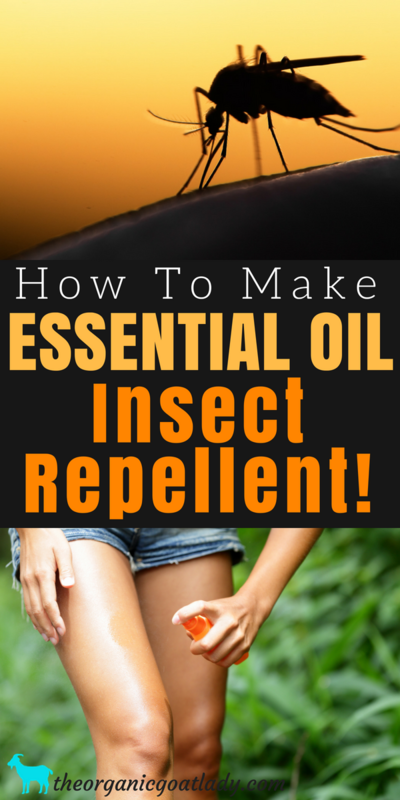 A natural, Essential Oil Insect Repellent! Keep away those pesky mosquitoes while nourishing the body with this amazing spray! In a 4oz. glass or PET spray bottle, combine essential oils and massage oil. Shake well. Add plant enzymes and shake well. Dir: Apply to exposed skin surfaces 5-10 minutes before going outside to repel mosquitoes and insects. Reapply as needed. Safe for babies. You can find the Plant Enzymes that I use here. You can find the Grapeseed Oil that I use here. Find the Thyme, Lavender, Geranium and Peppermint Essential Oils that I use here. You can find the Cinnamon Leaf Essential Oil that I use here. You can find the Citronella Essential Oil that I use here. Purchase a 4oz. glass spray bottle here. You can purchase a PET spray bottle here. Can you use something other than the plant enzymes? I’ve never made the recipes with anything other than the plant enzymes, but you could try it with filtered water. Shake it really well before each use, as I do feel that everything mixes a little better with plant enzymes versus water. But the oils will mix into the carrier oil that the recipe calls for. If you are able to get the enzymes I highly recommend it though. They are very nourishing to the skin and assist in breaking down bacteria!